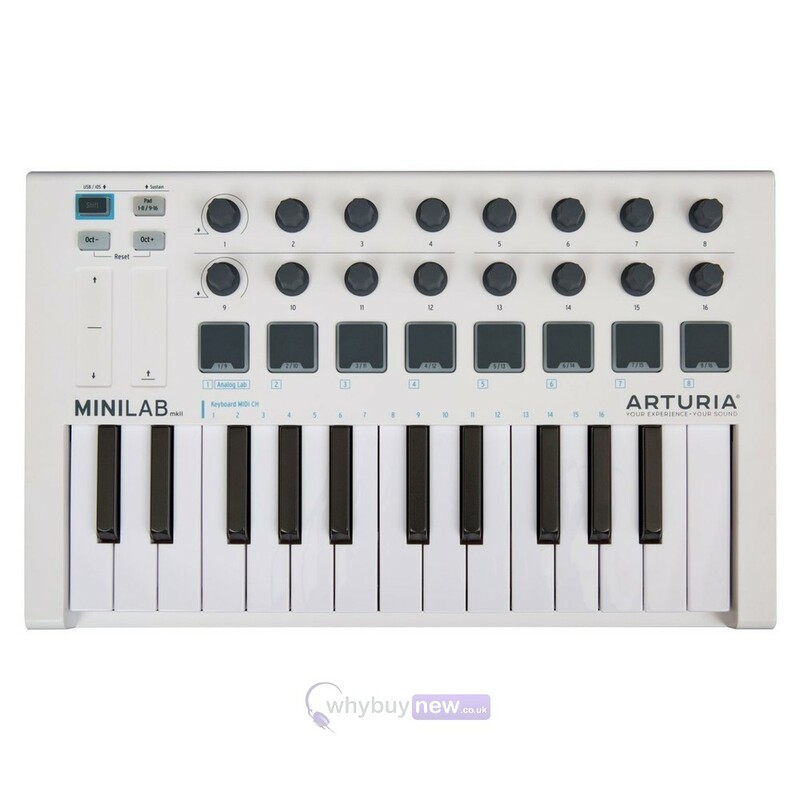 The Arturia MiniLab MKII is a portable 25 Key controller that gives you hands-on control over your music no matter where you are. 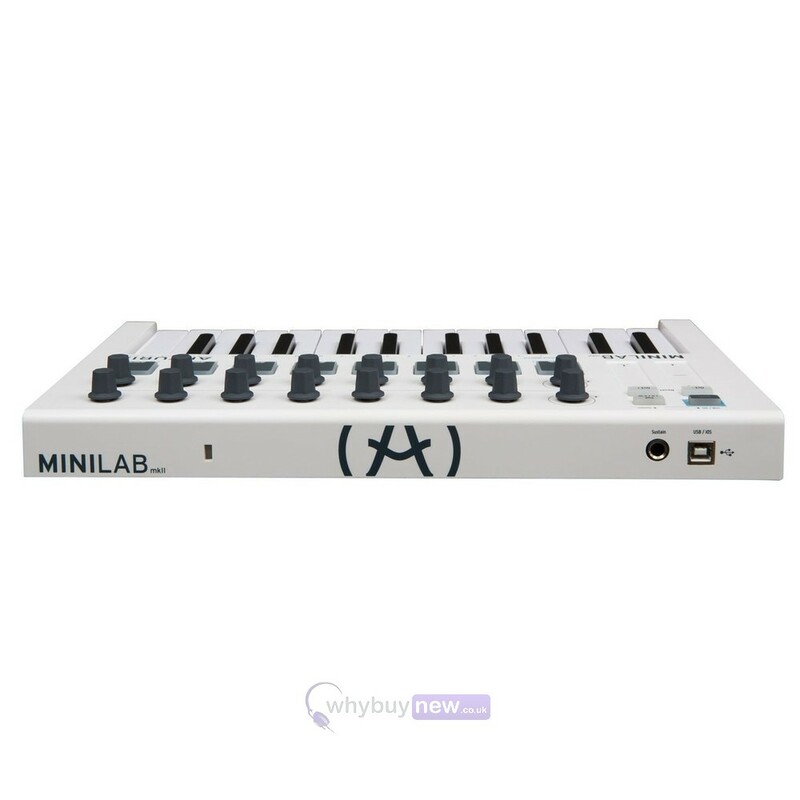 The MiniLab is a full-featured USB/MIDI controller which has been designed to work with any music software or DAW you own. 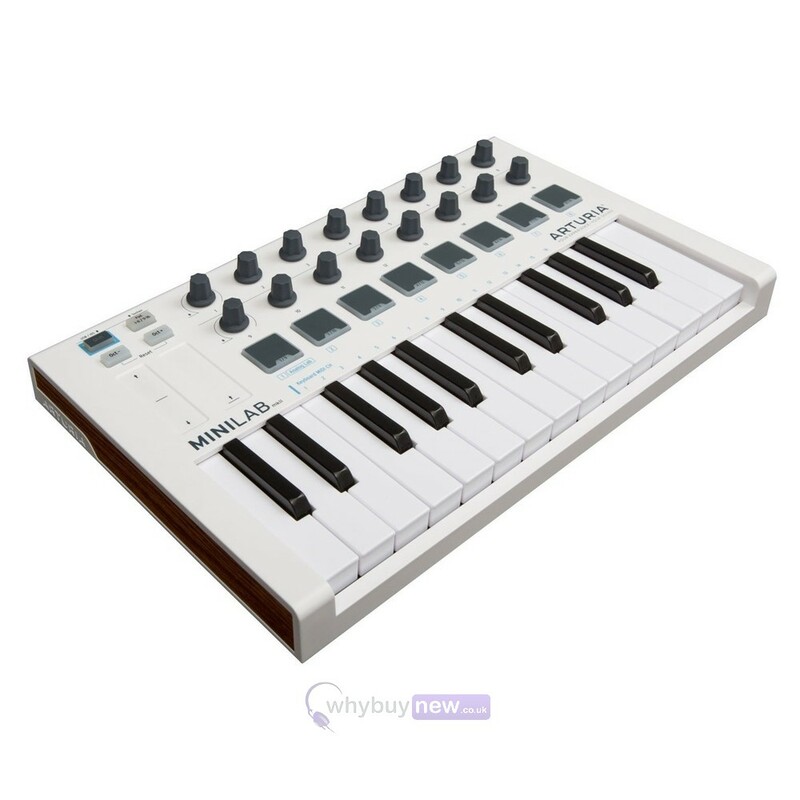 It comes included with Analog Lab Lite, Ableton Live Lite software and UVI Grand Piano Model D.
Created with the mobile musician in mind, MiniLab MKII has a slim, compact profile which makes it perfect for transporting to and from gigs, and for keeping you creating when you're travelling. 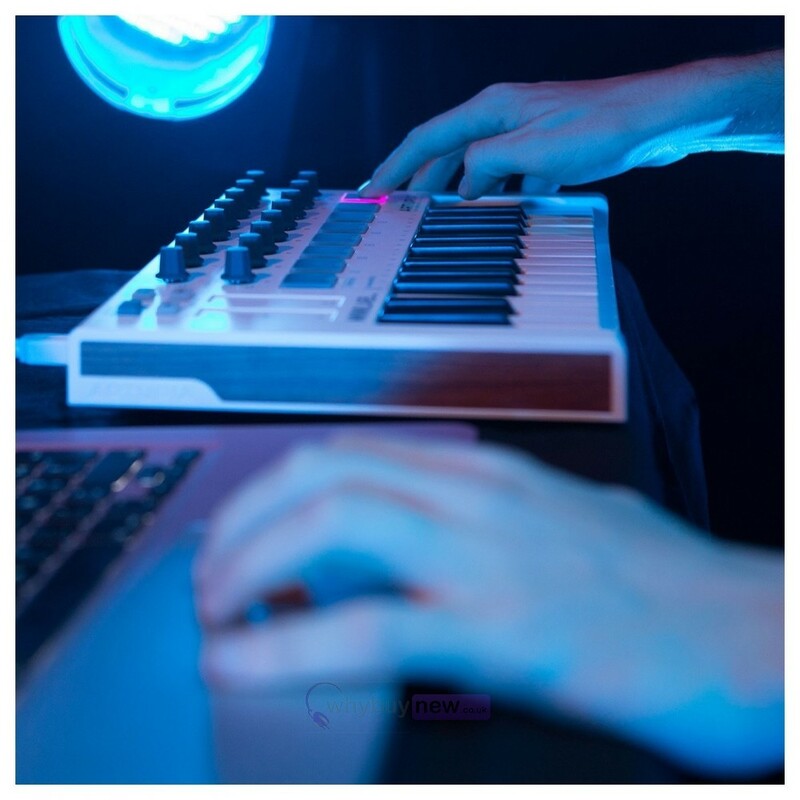 With its rugged, durable construction, the revitalized MiniLab can take the strain of life on the road, ready to perform night after night. 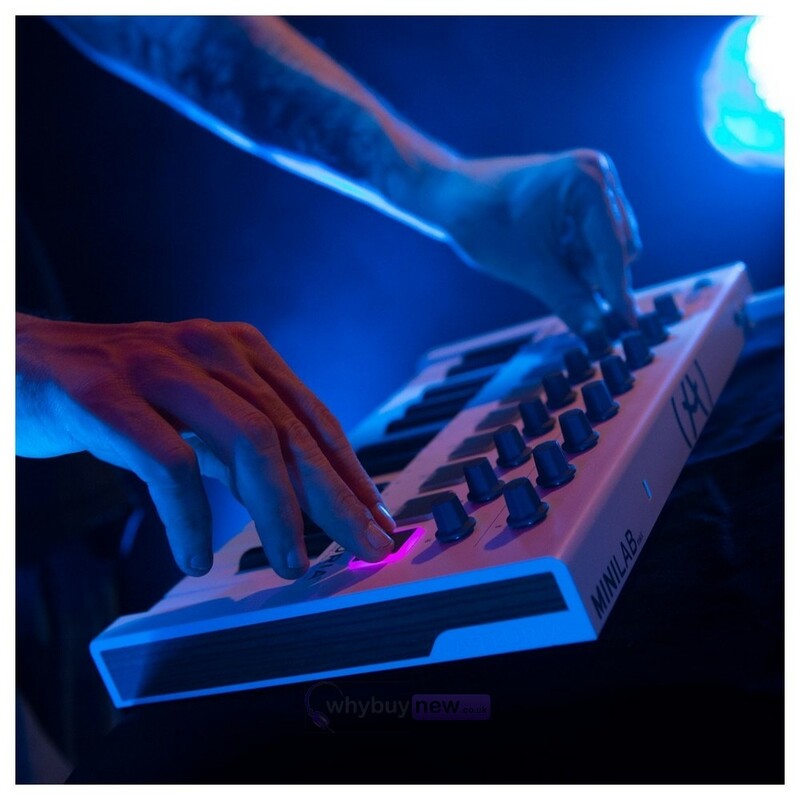 Not everyone has the luxury of a spacious studio, and this is where the reinvented controller really shines. 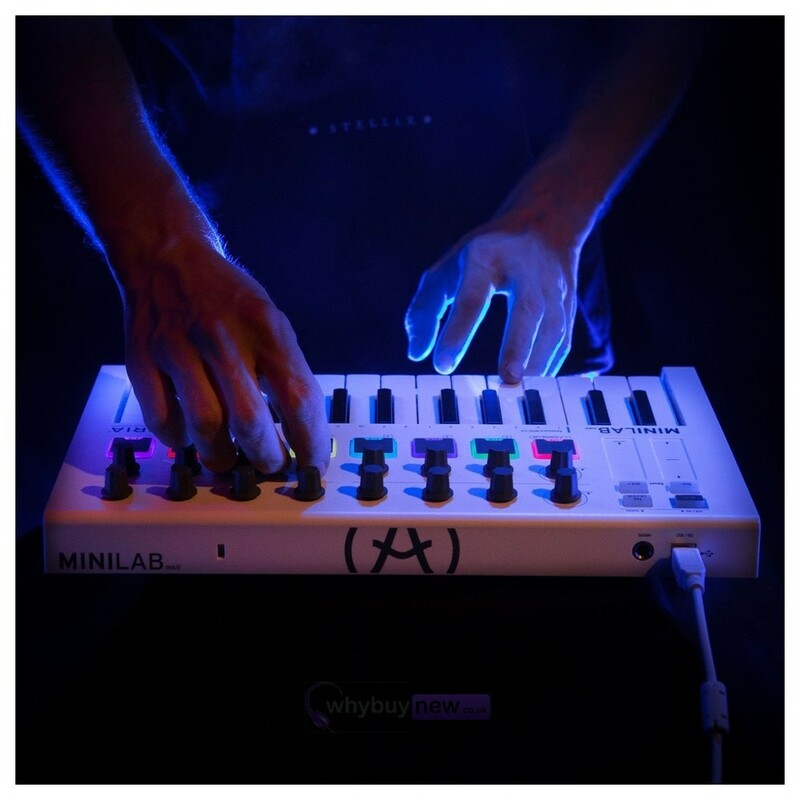 MiniLab MkII has a tiny footprint allowing you to place it virtually anywhere within your set-up, even if the only space available is on your lap. 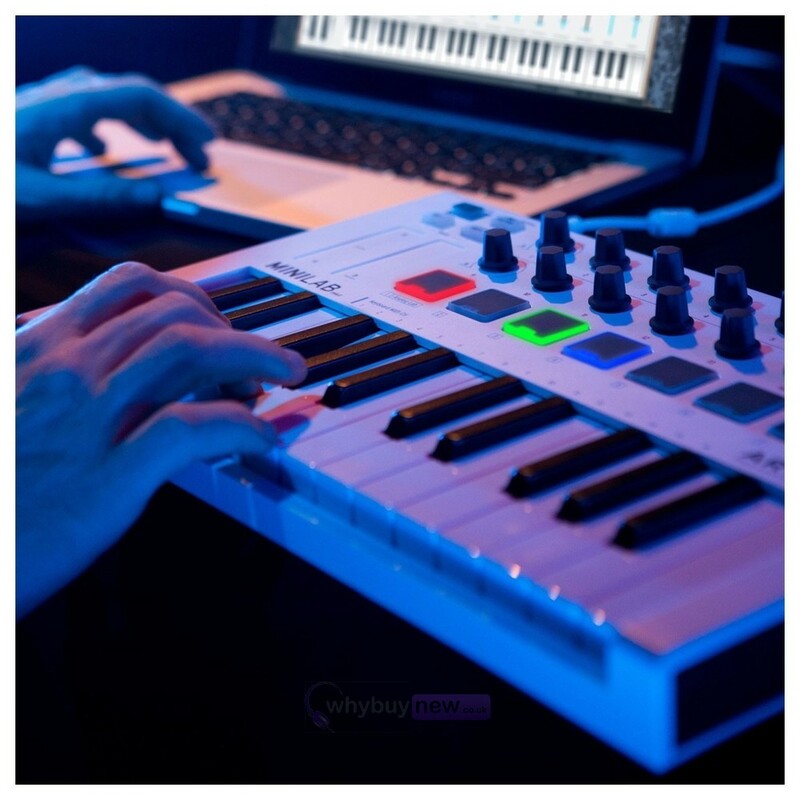 The quality of every component has seen an improvement over the original model, from the keybed to the controller knobs, the touch sensors to the outer casing. 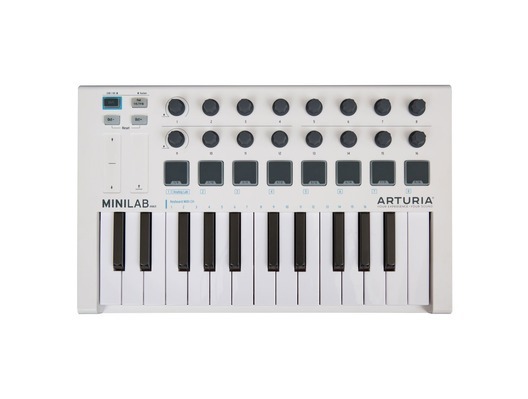 Despite the hardware upgrade, MiniLab MkII is still one of the most affordable dedicated controllers on the market. 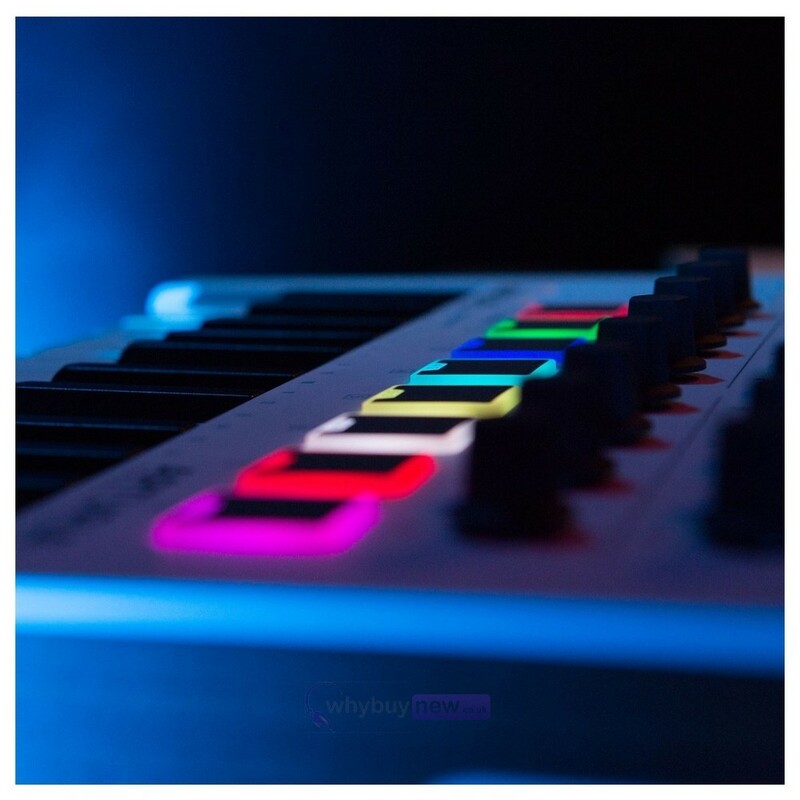 USB/MIDI class compliant no drivers needed.